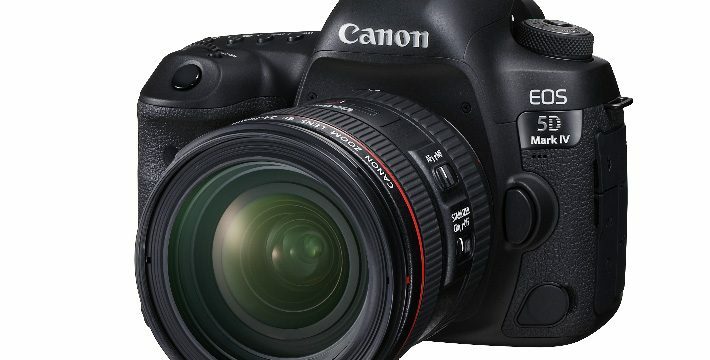 Canon’s true flagship camera has been its 5D series, and that’s the all-important theme, when it comes to assessing their next move into the Mark numbers of that lineage. As a camera relied upon by probably more working professionals than any other, it has got to take good photos, in a weather-proof and durable body, even if it adds video features that keep pace with what’s going on in moving picture technology. Today’s announcement of the new Canon 5D Mark IV brings at least one sigh of relief: it shoots 4K video. Of course! But in some regard, this video upgrade is really just a re-housing of the great Cinema EOS 1D C, because the internal video recording codec is still limited to 8-bit 4:2:2. At least it’s not the 8-bit 4:2:0 of the Sony a7 series, but even so, the marquee feature of the 5D series — its full-frame sensor — doesn’t get leveraged for video the way it does in, particularly, the Sony a7S II. The gigantic crop factor of the Canon 5D Mark IV takes us right back to the constant guessing game when it comes to using full-frame lenses that cannot deliver — remember Metabones and its progeny of focal reducers? Problem is, the Canon EF lens mount leaves no room for a focal reducer, because of the Canon body’s flange distance to the sensor. But something in particular (already in this first hour) that all the blogs and media sources are avoiding is this extraordinary oversight: no log recording! Whatever the claimed specification of dynamic range, a camera’s true measure of latitude in video capture is its ability to shoot in log, requiring even just a minimal conversion to REC.709, etc., in post-production. In 2016, log video capture is a bare minimum technical requirement. I mean, even the sub-$1k Sony a6300 has got it. But the theme remains as always: this is primarily a stills camera. And for that, it’s all good news: a 30.4 megapixel CMOS sensor with high exposure latitude, Dual Pixel CMOS auto-focus and a new Dual Pixel RAW feature. Also underestimated and finally arrived is GPS metadata recording, which is especially vital to the core 5D customer who engages in things like photojournalism and research (where the archival value of ascertaining the precise location of a photograph is invaluable: I learned that using a simple point-and-shoot with GPS capability through this fascinating episode in geology). But coming back to video, my experience shooting with a Mark III revealed two very specific shortcomings: “soft” and “punchy” video, primarily caused by its anti-aliasing filter and default color profiles. I did everything else I could: uploaded the Technicolor profile to get the color space as flat as possible (angling to simulate log), and avoided shooting wide focal lengths for the usual reasons, then applying a sharpness boost in post. Has the Mark IV gotten better at this? The videos seem to suggest it, but of course they are demos meant to show the camera at its best (and naturally, 4K capture increases evident sharpness). But it’s early, isn’t it? Next come the reviews, and that’s where/when all’s revealed. For quite a few shooters, though, the Mark IV is an automatic upgrade. To that end, pre-orders are already available at B&H Photo and Video, and at Adorama, to name a couple. I can think of a few people who will jump immediately, and when it comes to the most important value for working professionals — familiarity with an esteemed product line’s interface and behavior — today’s feature improvements are fantastic news and there’s no hesitation. Ironically, I’m writing this in Cologne, Germany during a conference on film music called SoundTrack_Cologne, starting to see all the signs for Photokina going up around the city for next month’s big show. The drama builds: what’s next?